LiveGrade allows you to connect hardware grading panels, including the Tangent Wave, to precisely and physically manipulate your grades. 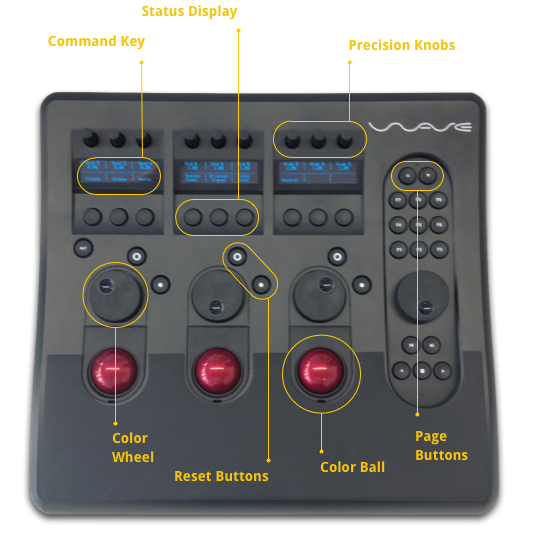 The Tangent Wave offers a variety of controls, ranging from Color Balls, Command Keys to Precision Knobs. 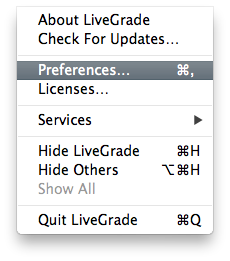 The controls utilized by LiveGrade are depicted below. The Precision Knobs each manipulate one specific aspect of your grade, such as ‘Saturation’ or ‘Midtones Red’. The Page Buttons allow you to cycle through different configurations of the Precision Knobs. Depending on the page, the knobs control different aspects of your grade. The Status Display shows the meaning and value of multiple controls. It is split into two lines and nine columns. The first line displays the meaning and value of the respective Precision Knob above, such as ‘Saturation’ of ‘Mid R’, standing for ‘Midtones Red’. The second line displays the meaning of the respective command button below. 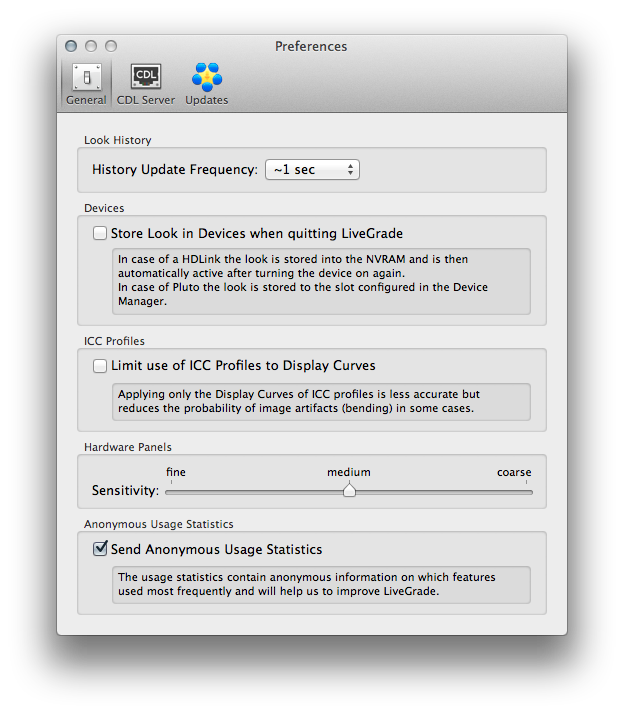 The Command Keys perform the following commands from left to right: New Grade, Update Grade, Apply Selected Grade, Bypass Color, Show Original Signal, Enable False Color and Set To Neutral.